Wide open spaces, abundant wildlife, scenic vistas, uncrowded neighborhoods and a simple, down-to- earth lifestyle. These are just a few of the reasons you chose to live in Idaho. But being close to and surrounded by nature doesn’t mean you have to share your personal space with the parts of nature that can be a nuisance… namely ants, biting insects, bed bugs, termites and rodents. You can have the solitude and quiet of the wilderness, And… peace of mind… with pest control from an Idaho pest control company. It’s in our nature to put off pest control until it disrupts our lives. Don’t be the one who waits for a time when pests could tarnish the scenic Idaho wilderness you’ve come to enjoy. The last thing you want to discover is mice looking for a nice warm home in the winter or carpenter ants digging tunnels for their queen to lay eggs in during the spring. Be proactive and start a pest preventive maintenance program today. You could be enjoying the beauty around you, all the while knowing pests are going to stay outside where they belong. All it takes is one phone call to Pointe Pest Control… a local company, familiar with Idaho Pest Control.  We’ll start your journey on the road to peace of mind by conducting a thorough inspection of your property. Inside and out, we’ll focus on locating any pests you may have. Then we’ll create a custom treatment plan and apply your first treatment. From that point forward you can relax knowing you’ll receive regular maintenance treatments, free extra services and our money back guarantee. Idaho Pest Control done the way our Idaho customers expect. Now that’s peace of mind! Peruse our web site and learn about how to recognize an infestation… or better yet, call us today and schedule an appointment for a free inspection with one of our experienced, professional staff. Experience our commitment to excellent customer service and our dedication to happy customers. Discover Pointe Pest Control and the comfort that comes with selecting a pest control company who understands your local slice of the world.